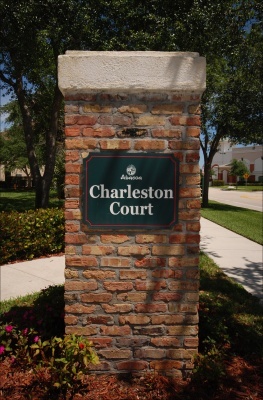 Charleston Court, located in Abacoa in Jupiter, is comprised of 188 townhomes following Victorian traditions. Homes are available in 3 bedroom floor plans, with square footages ranging from 1600 to 1850. Typically two-stories, Charleston Court homes feature 6 units per building and are surrounded by lush landscaping, including mature oaks providing plenty of shade. Residents enjoy being within close proximity to Roger Dean Stadium, as well as the Abacoa Golf Club with its Joe Lee-designed championship 18-hole course.